LEDs seem to be the theme this week, huh. 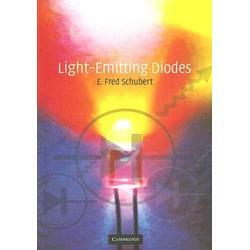 I wanted to pass along a great LED text about the history, specifications, and technical properties of LEDs and their components – E. Fred Schubert’s text, Light-Emitting Diodes is a good read for anyone interested in learning line detail about the diodes. I recommend it.